Gerry promised a flat-ish walk, and he gave us just that. A series of picture-postcard villages on the Oxford plain north of the Chilterns reminded us that we ought to come out this way more often. We were waylaid early in the day by the Vicar in Pyrton who invited us to organise a walk through the village in March to see the churchyard filled with wild daffodils. It emerged that the same Vicar is responsible for the snowdrop extravaganza in Swyncombe every February. We even came across a pub to rent (in Lewknor): the Brewery has closed it down, it’s been bought by a consortium of villagers, and they’re looking for someone to run it. Sadly a whip-round among the group failed to raise the £30,000 we’d have needed to open the LDWA’s very own pub – “The Strider’s Legs”. 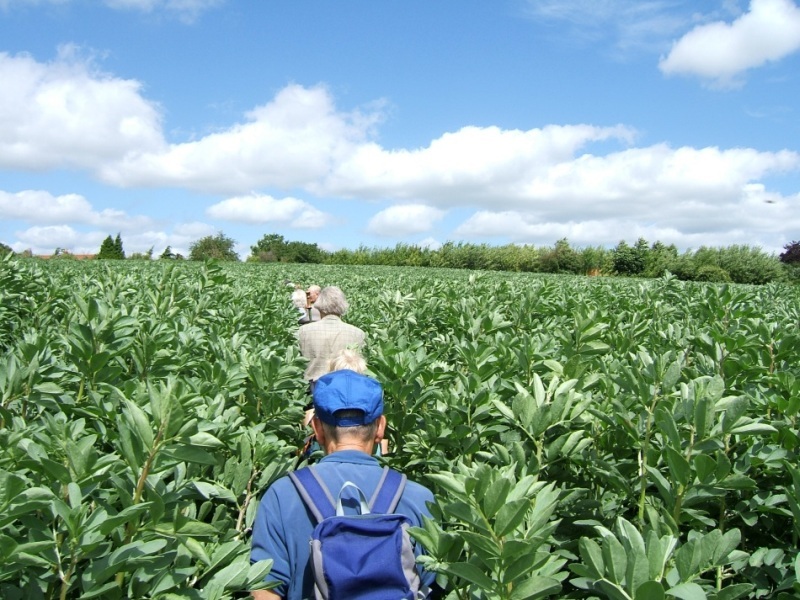 Highlight of the day, though, was the Oxfordshire Way, a popular long-distance route which one local farmer is keen to promote as a Challenge Walk to test navigation skills. 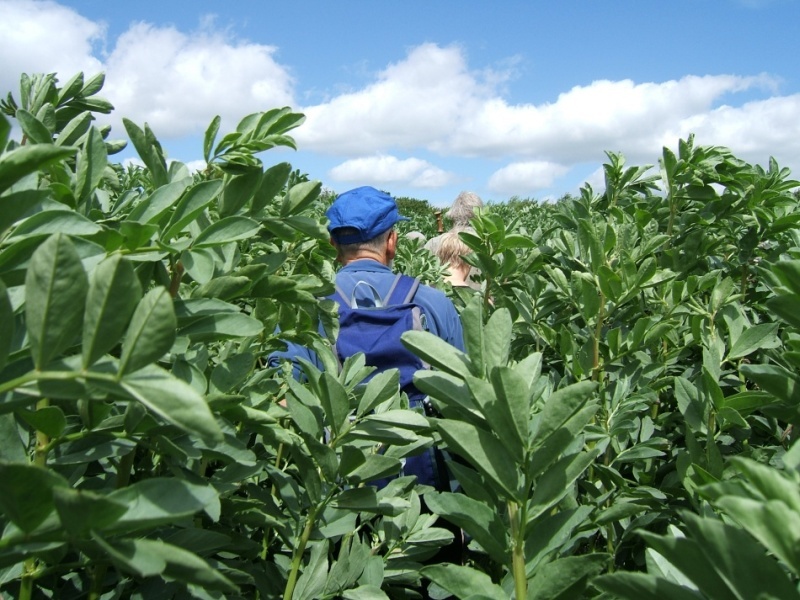 Or perhaps he’s planning to open a Broad Bean maze – fun for all the family and a rival to all those now rather old hat maize mazes.